You are browsing Grade 9 questions. View questions in All Grades. 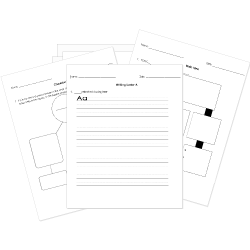 You can create printable tests and worksheets from these Grade 9 Adverbs questions! Select one or more questions using the checkboxes above each question. Then click the add selected questions to a test button before moving to another page. Do we have milk at home? I don't like these shoes. I like the red . Identify the adverb in the sentence below. Margot is a really smart puppy. Identify the adverb clause in the sentence below. Because I got home first, I had to walk the dog. This very useful device will be a great addition to any household. Identify the adverb in the sentence "Ivan chewed his food quietly while reading his history book."